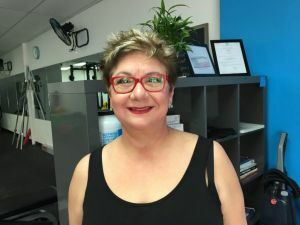 Mary Ann was glad to find Focus Fitness because the studio offers her the privacy she craves in an exercise environment with the personal attention of customized training. “[The gym] feels small and affable without making me feel alienated,” she told Dave, “and I felt comfortable right away when discussing my needs.” Her goals included not just weight loss and muscle development but focused on dealing with aches and pains of everyday living. Since working with Focus Fitness those pesky pains have diminished almost completely. Once she realized how good exercising twice a week made her feel, Mary Ann accepted the Fall 2015 6 Week Challenge with great results. In fact, after that experience she upped her weekly training sessions to 3 times a week and hasn’t looked back since! “Exercise is important. Even though you might be ‘healthy’ and walk, that doesn’t mean you are strong or fit. I’ve seen the benefits in my life since joining Focus.” The results didn’t go unnoticed at home, either. Her husband, Roberto, saw the success his wife was having and joined Focus Fitness sooner after. When asked what surprised her most about being a Focus Fitness member, she happily exclaimed, “How much I enjoy exercise! Because of the changing programs, I don’t get bored. I never expected the positive results to my mental health and well-being.” Well, Mary Ann, we applaud your success are proud to share your story. It’s members like you that push us and make us better. Keep up the great work!